Constitution Of Medina Was The First Describing A Secular & Pluralistic Society, Not The Magna Carta! The constitution of Medina and not the Magna Carta was the first ever constitution describing a pluralistic society. The Charter of Medina (Arabic: صحيفة المدينة‎‎, Ṣaḥīfat al-Madīnah; or: ميثاق المدينة, Mīthāq al-Madīnah), also known as the Constitution of Medina (دستور المدينة, Dastūr al-Madīnah), was drafted by the Islamic prophet Muhammad shortly after his arrival at Medina (then known as Yathrib) in 622 CE (or 1 AH), following the Hijra from Mecca. 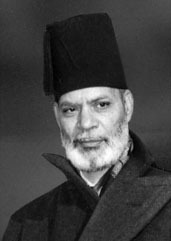 Sir Muhammad Zafrulla Khan a biographer, of the Holy Prophet Muhammad was a Pakistani politician, diplomat, and international jurist, known particularly for his representation of Pakistan at the United Nations (UN). Mark Graham the Edgar award-winning author of ‘Black Maria wrote: Muhammad’s (SAW) brilliance lay in politics as well as spirituality. One of the most extraordinary events to take place during this time was the drafting of the Covenant of Medina (Sahifat al-Madinah), what some consider to be the world’s first constitution. It was a treaty and city charter between the Arabs and Jews of the city. All groups (Muslims, Jews, and non-Muslim Arabs) pledged to live in civic harmony, governed by mutual advice and consultation. 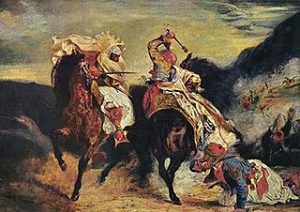 The Covenant bound these varied groups into a common defense pact and stipulated that the Jews of the city were one community with the Muslims, that they were free to profess and practice their religion and that they were entitled to all the rights pertaining to the Muslims. This amazingly foresighted document was a revolutionary step forward in civil government. Despite the ultimately tragic end of Muslim and Jewish cooperation in Medina, this blueprint of inter-religious tolerance would serve Islam and its subject peoples well in the future. See Mark Graham. How Islam Created the Modern World. Amana Publications, 2006. Pages 21.